An unfortunate incident over the summer spelled the end for my iPhone, and with it a communication route that for the past few years I had pretty much taken for granted. For the first few days, managing without it felt like the metaphorical losing a limb, but sitting in the pub a couple of evenings later it started to feel as if a subtle source of stress had been taken out of my life; a liberating feeling of being able to interact with the world on my terms for a change. To cut a long story short, I have now also closed down my Facebook account, which had come to represent a constant source of distraction and a growing intrusion of the commercial world into my private life. There is little else to be said about this really, other than that the novelty had long since worn off and I no longer found it a pleasant place to be. Breaking my phone turned out to be the push I needed. The reaction amongst friends was mixed. Some were puzzled, some offered encouragement and said they were doing the same, others called it “suicide”, but it was never my life. For my generation, social networks and permanently available internet connections have become such a part of the way we interact that it seems strange to think back to life without them. However, for the past few years I have been making a conscious effort to simplify my life in a number of ways. The constant bombardment of information, much of it of little relevance, is something I don’t need. This isn’t to say that I’m getting rid of these things entirely but we all have busy lives and, more than ever, I feel that we need to make conscious decisions as to how we choose to spend our time. Outside and everything is changing. The nights are drawing in, the leafy lanes of a few weeks ago now crunch with hazelnuts and the owls are out by the time I finish my evening run. Sometimes it’s important to simply switch off and live in the moment. Old folk customs have a surprising tenacity in post-industrial Britain. It sometimes seems that rural traditions, like nature itself, have a latent irrepressibility, springing up incongruously through the fabric of modern society. A few years back I read an account of a largely forgotten custom in which children wore a sprig of oak to school on the 29th of May. Known as Oak Apple Day, anyone who turned up in the playground that day without an oak twig would run the risk of being thrashed with nettles by the other children. The festival has its origins in the Restoration of the monarchy, after Charles II escaped the Roundheads by hiding in an oak tree, but like many folk customs it is also infused with pre-Christian symbolism. In Roger Deakin’s book Wildwood he describes the annual Oak Apple Day celebrations in the village of Great Wishford, where every year the villagers walk the six miles to Salisbury Cathedral to claim their rights to gather ‘deade snappinge woode boughs and stickes’ from Grovely Wood. In a ritual with clear links to paganism, the local houses and parish church are decorated with green oak boughs as part of the celebrations. I was interested to see that Oak Apple Day has been chosen by the Woodland Trust as a date for everyone to visit, record and vote for their favourite ancient trees. 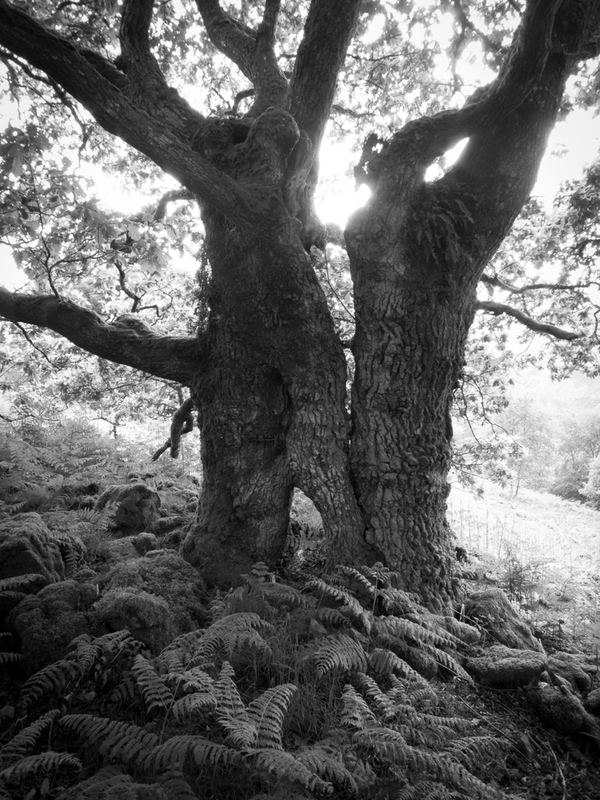 This is mine—a Common Oak which I like for its photographic potential. Partially straddling an old stone wall, it is a pollarded hedgerow oak and lies at the edge of a wood pasture on the Carngafallt RSPB reserve. Pollarding was widely abandoned over 200 years ago and, as can happen with neglected pollards, the tree is starting to split under its own weight. 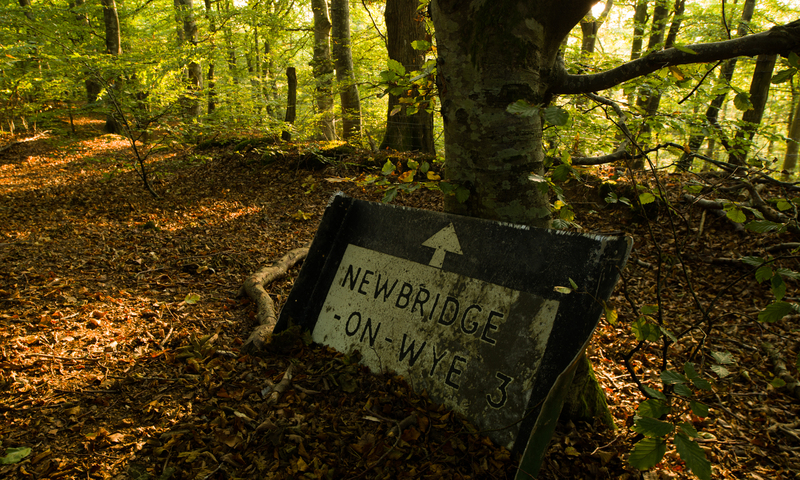 The ancient natural forests that once covered Britain had long disappeared by the time of the Domesday Book, but these woods and the nearby Cnwch woods have existed far beyond historical records. 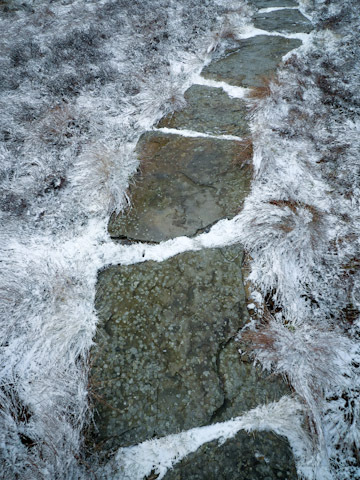 It doesn’t seem too much of a stretch to suppose that they may been wooded since the ice retreated in around 12,000 BC. In the Western cultural imagination, woods have long been associated with wilderness. For centuries they existed as a forbidding boundary beyond the towns and villages—a place of magic and mischief. The Merrie Greenwood of medieval mythology, with its links to Robin Hood, Jack-in-the-Green and the Green Man carvings in churches and cathedrals reflects this uneasiness: a culture that feared the woods yet depended on them for its survival. The Anglo Saxon word weald or wold means a ‘wooded place’ and it is easy to see the common etymology with ‘wild’. 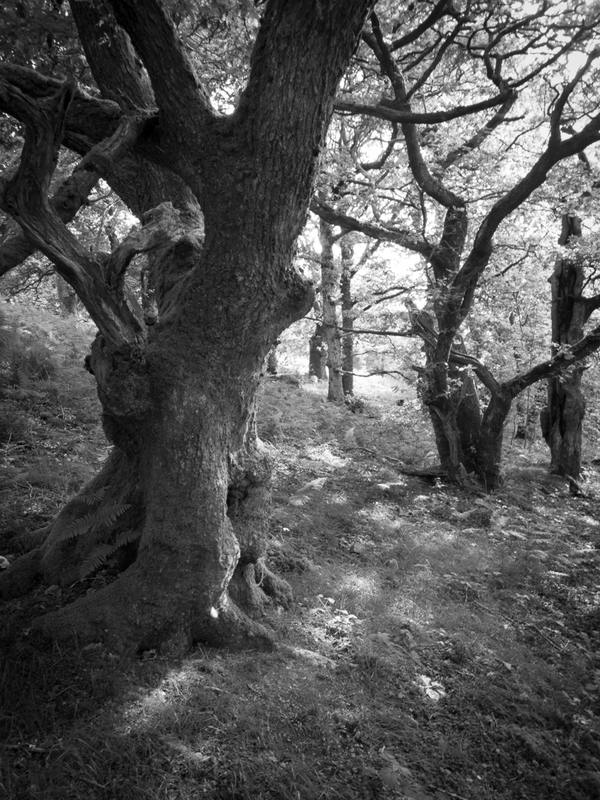 There is no wildwood left in Britain but it is encouraging to see a place where wildness still lives on in some form. The oak tree is a survivor, for the Cambrian Mountains can be a harsh environment. The recent winter was too much for the eucalyptus in my parents’ garden, which now stands as a stark reminder of nature re-asserting itself; a climate induced natural order of things. 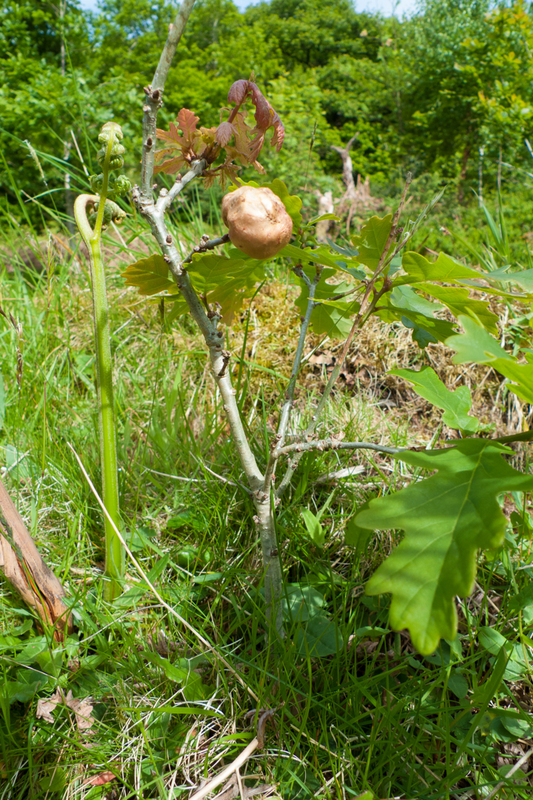 At the edge of the wood, not far from my tree, I found the mysterious oak apple: the large round gall produced by the larva of the gall wasp. It seems strange to be writing a post like this so early in the year but the recent warm weather has got me thinking about summer. Stepping out of the door this morning, the stillness of the pre-dawn air rekindled a memory from last year—almost dreamlike in its strangeness—of walking through Tenby at 3am, a camera bag over my shoulder, the streets filled with seagulls picking at chip wrappers in the half light. I could see myself taking on an almost nocturnal existence during the summer months, if I didn’t need to earn money. In many ways I’m not exactly enamoured of long summer days but the evenings can be magical; as too can the hour before dawn, where the landscape often takes on a subtle and characteristic radiance. There is a beauty in the lighter half of the year, but it is unfortunate that it so often falls outside of our normal waking hours. The view from the kitchen window this morning was quite inspiring, with a light dusting of snow on the hilltops. A trip up to the source of the Severn seemed as good a cure as any for the cabin fever that’s been kicking in over Christmas and New Year. The route is part of the Severn Way and is accessed from the car park at Rhyd-y-benwch, where it runs along a boardwalk and on to a well-defined path following the river upwards through the forest. The Severn and its tributaries pass through a number of gauging flumes installed in the late 1960s as part of the Institute of Hydrology’s Plynlimon catchment experiment—set up to study the effect of plantation forestry on water yields. Along with another guy from school, I spent some time doing work experience at the Institute’s field station on the edge of the Hafren Forest. We had a good laugh, but everything was fun in those days. On the first of the month we had to check and read all the raingauges in the upper Severn and Wye catchments, some of which were pretty inaccessible even with a Land Rover. I seem to remember it rained a lot. The Hafren Forest was a very different place in the eighties. Today, large areas have been clear-felled and there are good views from the Severn Way, but back then it was a maze of forest roads and firebreaks. School trips to the nearby Staylittle Outdoor Centre would always involve orienteering exercises where, corralled in between acres of Norway and Sitka spruce, we used to get absolutely lost. It was great. Originally planted in the 1940s, the forestry proved to be something of an ecological disaster for the rivers. 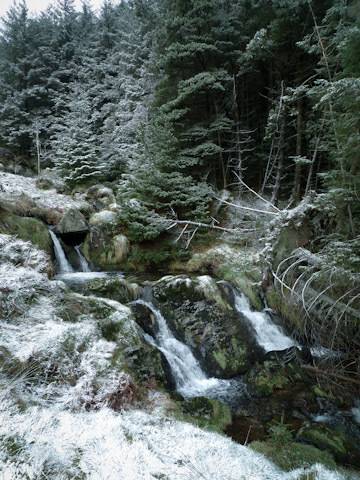 Conifers were planted to the edges of the riverbanks, which, combined with extensive networks of drainage ditches caused acidification of the water and the widespread loss of aquatic invertebrates and fish. Steps are now being taken to correct this and the Forestry Commission are in the process of clearing conifers from the banks of the upper Severn. Sadly, the forestry is only part of the story. 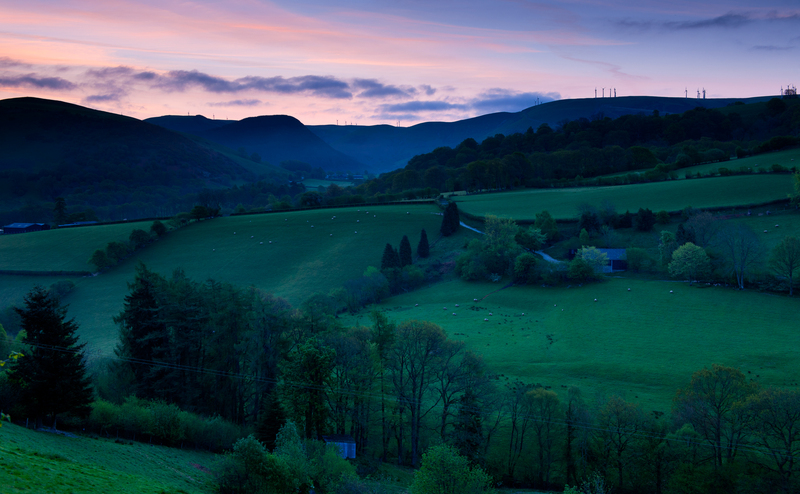 Acid rain—these days a largely forgotten environmental issue—continues to affect the uplands of Mid Wales. Although the technology exists to remove the harmful sulphur and nitrogen compounds from power station flue gases, this has the effect of increasing carbon emissions. For this reason, we’re stuck with acid rain. pH levels in some cases as low as 4 mean that many of the upland rivers remain almost completely lifeless. The path starts to level out and the sound of the river that has accompanied me all the way up is replaced with an eerie silence as the Severn oozes soundlessly amongst the blanket bogs. I linger here for a while but for the first time today there is a real chill in the air and I soon decide it’s time to head back. Back at home I lie in the bath, submerged in water, some of which must have come down the river Severn on its journey through the Hafren Forest. I wonder if maybe it fell as snow, high on Plynlimon. It is dark outside and I think of the river out there in the forest, splashing down rock faces, swirling through mossy ravines and churning over and over in the dark pools. At the end of a long single-track road on Skye is a tiny fishing village called Elgol and a small beach where every landscape photographer in Britain—and these days they are legion—will, it seems, eventually stand. I’ve done it myself. Twice. Usually taken at sunset or dusk, the view from the beach across Loch Scavaig towards the Black Cuillin has become a rite of passage, a trophy image. Largely made famous by Joe Cornish (whose unique interpretation graces the cover of his excellent book First Light) this shot is often something of a “landscape photographer’s” view of the Cuillin. The peaks that are known, loved and feared amongst Munro climbers are relegated to the skyline where they often appear tellingly distant. 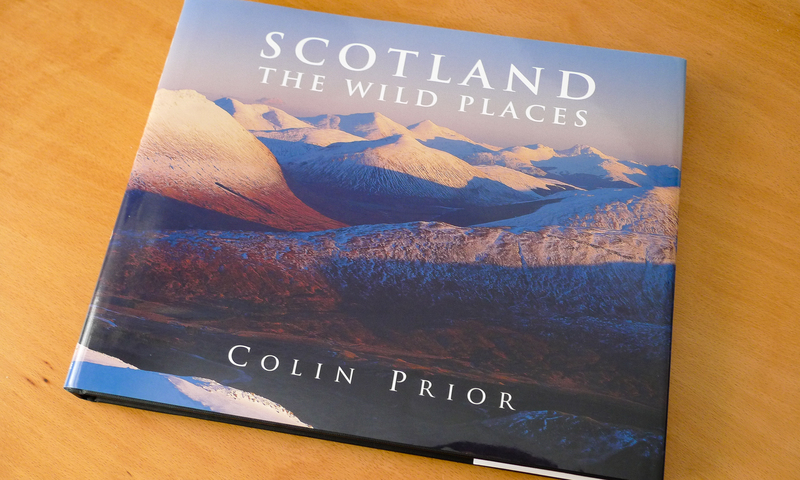 I’ve been moping about the house with the flu for the past week and yesterday I picked up Colin Prior’s Scotland The Wild Places that has been sat on a bookshelf of mine for probably a couple of years now. I’d always wanted to read it but somehow hadn’t got around to it. 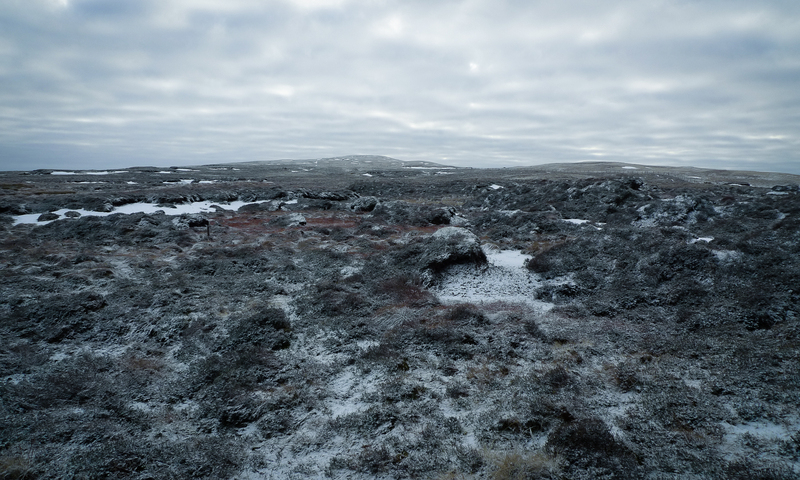 The panoramic format works really well here and I found myself drawn deep into the landscapes. Colin has gone to incredible lengths to capture them in the right conditions and the often low-angled light renders everything in amazing detail. Often named according to the prominent peaks in the frame, they tap into a deeper appreciation of mountains, one that transcends aesthetics and captures some of their unique characters. It is revealing that Colin’s photographs are often sold as posters in outdoor shops. Landscape photographers can often wax lyrical about their deep connection with nature but rarely does that come across in their images as clearly as it does here. It is refreshing to see a celebration of mountains not just for their aesthetic potential, but as things in their own right.